I am a firm believer in all of these things, and I take pride in doing my best and really putting my heart into things that I care about. However, I’ve realized is that no matter how hard I work, it is physically impossible to do it all. And that’s OK.
Moderation is a tough concept to grapple with, especially for a young person like me. I want to learn things, I want to be able to do things, and I want to understand things. And I’m impatient. In Japanese, there’s this word, tekitou. In English, it translates to “halfhearted.” However, to me, the word means quite the opposite. “Halfhearted” has such a negative connotation. To me, tekitou means doing the things that I love and care about wholeheartedly, and in regard to living a balanced life (and not driving myself totally crazy), not sweating the little details in all of the other things I have to do, and remembering that not everything has to be picture perfect. So onto the recipe, there’s nothing quite like homemade pastry. 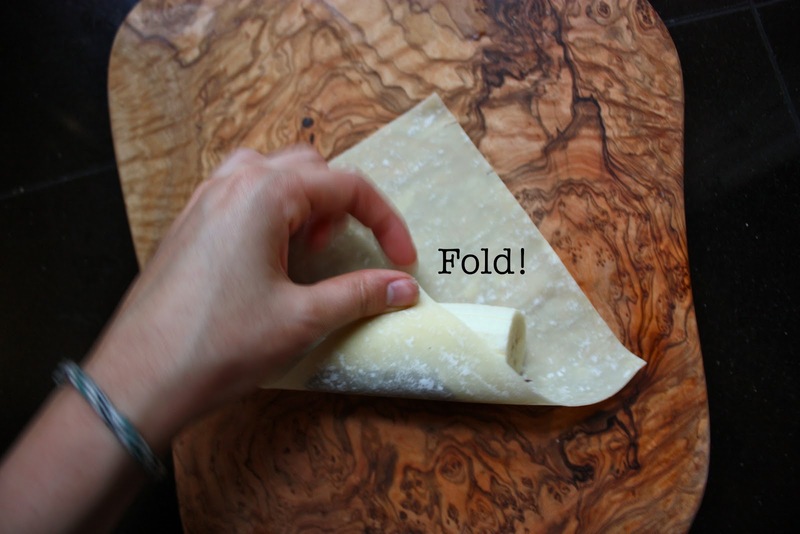 But ask anyone who has rolled out their own puff pastry — it’s an ordeal and a half. Ain’t nobody got time for that. Sometime’s it’s OK to cut a few corners. Especially in the baking world. Like for instance, (this is for all of you food bloggers and avid bakers out there), how many times have you actually taken butter out of the fridge an hour before baking to let it “soften to room temperature? I’ve never done this (except for the one time I simply forgot to put it back in the fridge after buttering my toast). I always just give the stick a 30 second zap in the microwave. Tekitou. 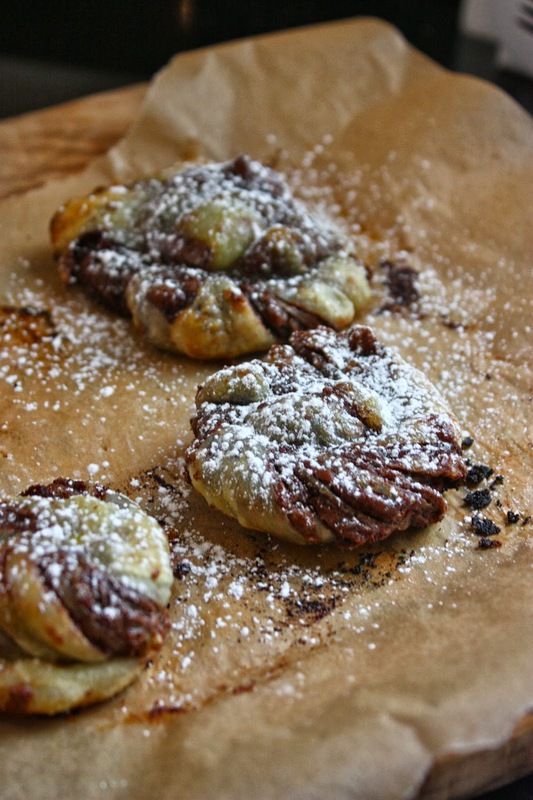 I’m always in the mood for some buttery, flaky, Nutella-swirled goodness. 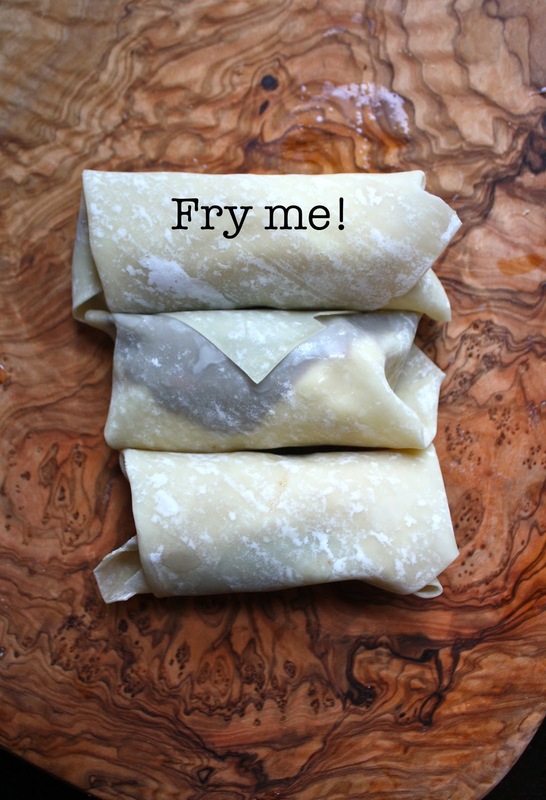 And although I am often in the mood to play with dough as well, my schedule doesn’t always allow for making homemade puff pastry. 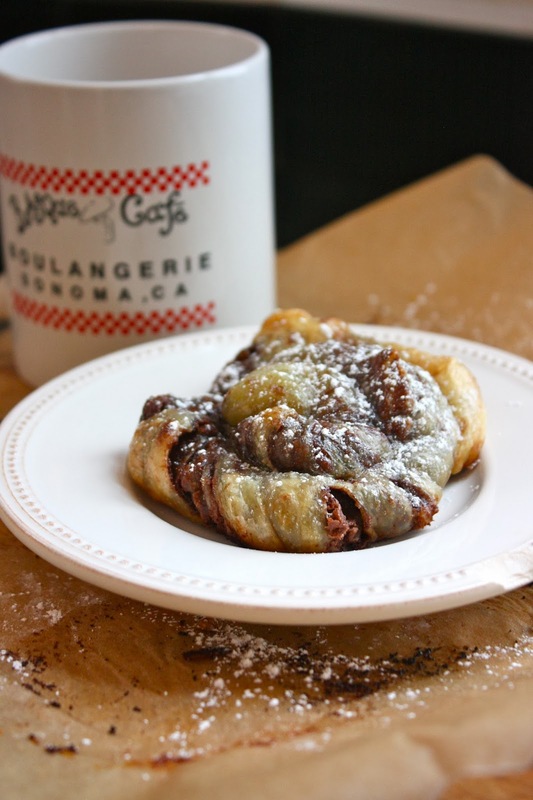 Here’s a quick-and-dirty little recipe for beautiful, Nutella twist pastries. They look like I slaved for hours over them — rolling and folding puff pastry. 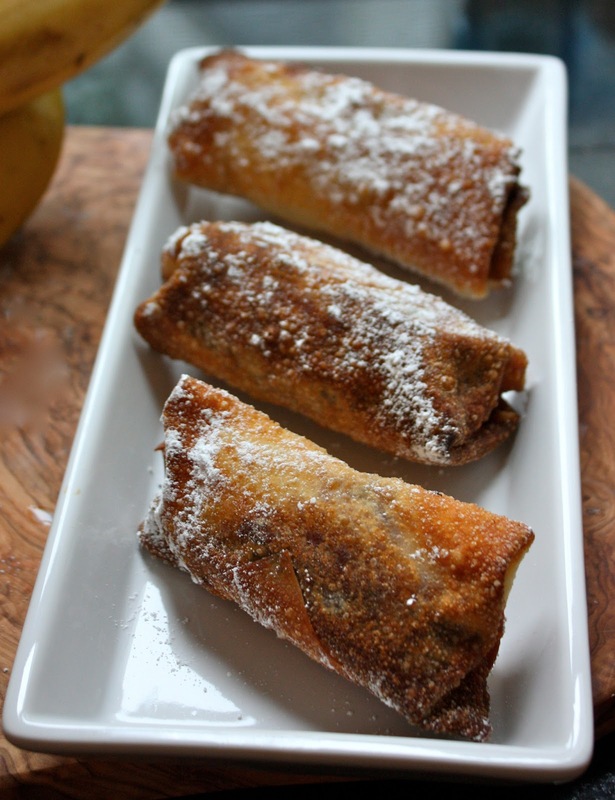 They taste all insane, buttery and chocolatey, and take minutes to twist together. Win win win. 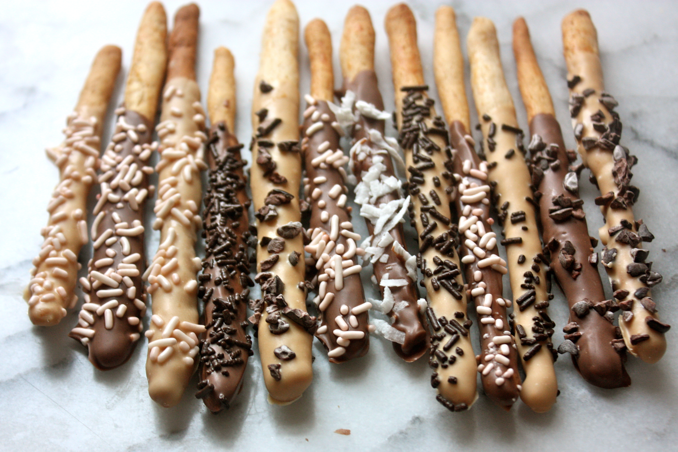 I finished my math homework, and got to make these awesome little twists of goodness. Tekitou. How were you tekitou today? 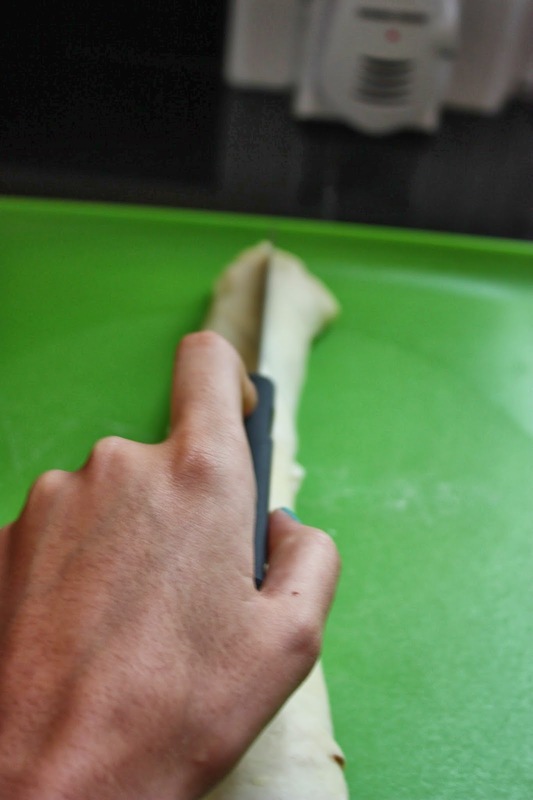 Roll out your defrosted puff pastry into a 2mm thick long, rectangular shape. 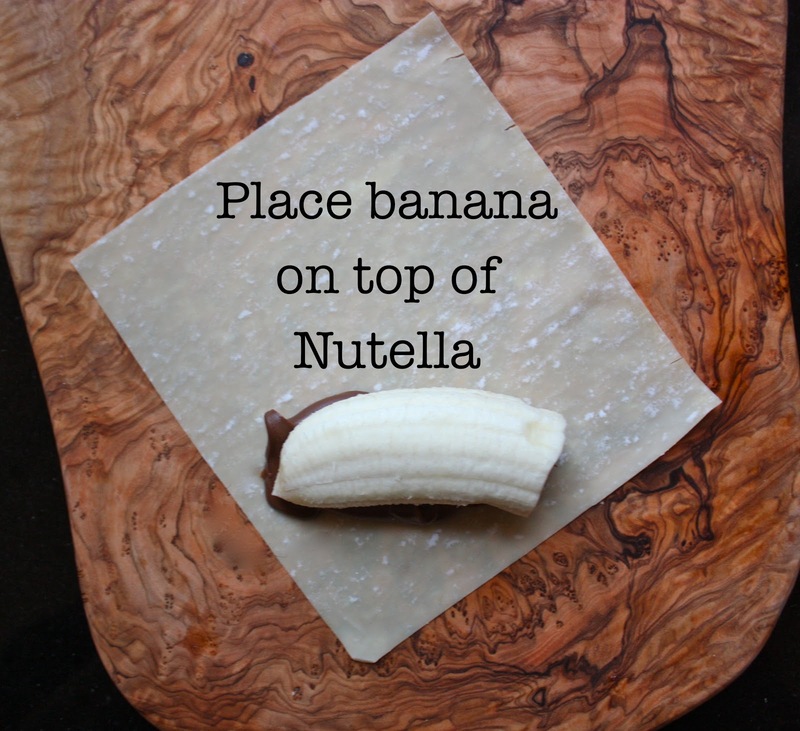 Spread a thin, even layer of Nutella onto the pastry. 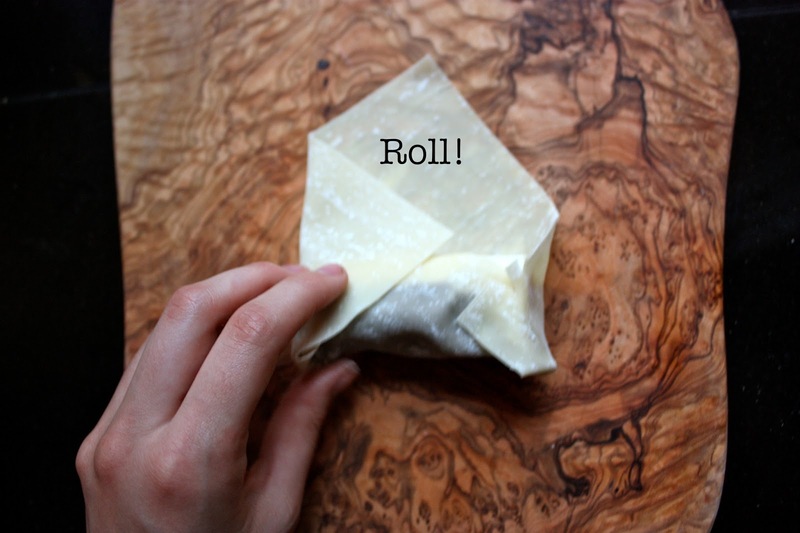 Roll the puff pastry up jelly-roll style from the long end. Using a sharp knife, slice the roll in half vertically, exposing all of those layers of Nutella. 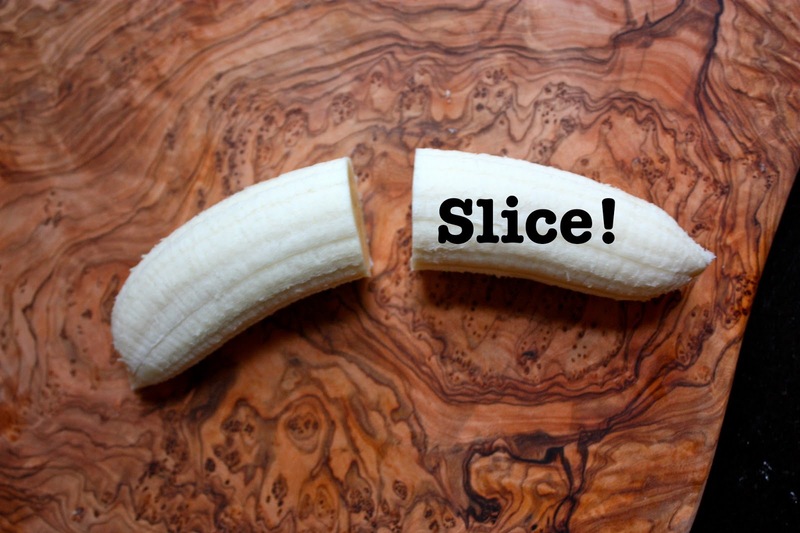 Cut each half into fourths. you do so tightly so it won’t uncurl during the baking process. spiral about 3 inches apart from one another on the prepared baking sheet. Have you heard about “The Smearing”? No, it’s not some new horror movie. I really don’t like horror movies. I mean, in the most basic of horror movies (i.e. PSAs about avoiding your basement), the characters are so asking for it. If I were home alone and heard screeching/whispering/scratching/bubbling coming from my basement, the absolute last thing I would do is grab a flashlight and “investigate.” I mean why would I do that when I could just stay above ground level with Pinterest and a big mug of Bohemian Raspberry tea? What’s even worse is when they ask: “anyone there?” I mean, do you really want to know the answer to that question? Moral of the story, avoid unnecessary confrontation. Don’t check noises in your basement. Now back on topic — if it’s not a new horror movie, what is “The Smearing”? “The Smearing” was a campaign run a long time ago by the Ferrero company in Italy, where kids could bring a slice of bread to their local food store and get a free “smear” of Nutella. I’m patiently waiting for them to bring this service back. My day will come. Is there anything in this world better than Nutella? Free Nutella. That’s all. A jar of this smooth, spreadable, chocolate-y brown gold is sold every 2.5 seconds (a baby is born every 8 seconds… do the math). So to honor Nutella, one of the tastiest things that comes in a jar, I created this cake. 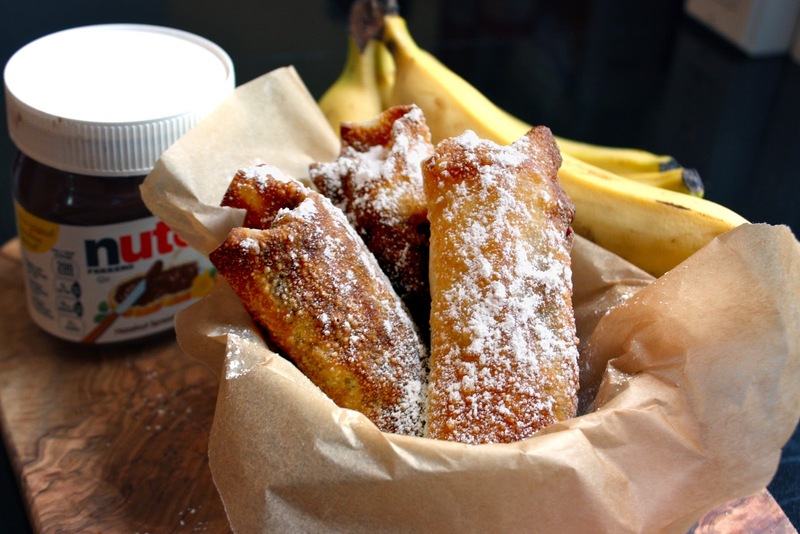 There were no rules, just that it had to be absolutely redonkulous (because Nutella deserves that kind of respect…). I used my favorite chocolate cake recipe for the layers (simple, velvety, with a nice cocoa bean-y flavor). Then things started to get scandalous. I slathered a thick, generous layer of Nutella between the cake layers, and then covered the whole thing with this dangerous Nutella buttercream (I always make a double batch in case… you know… I get hungry). While my first layer of frosting was chilling in the fridge, I went to the grocery store and ran up and down the aisles, just whacking every somewhat hazelnutty/chocolate-y thing I saw into my cart (ended up using the Hazelnut Ritter Sport and Ferrero Rocher). Then I piped some snazzy little Nutella buttercream ripples on the sides, and some big, vanilla rosettes on the top (to class up this monster of a cake). Finally, I smushed a little baby jar of Nutella in the middle. And my creation was born. 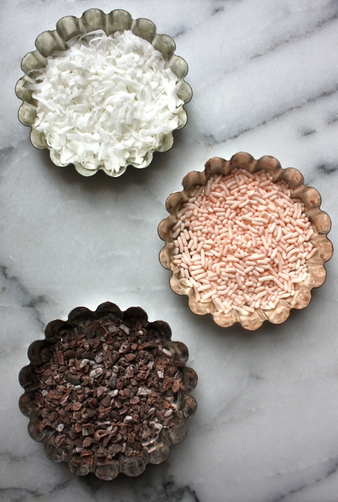 Place once cake layer onto a cake stand, plate, or cake board. 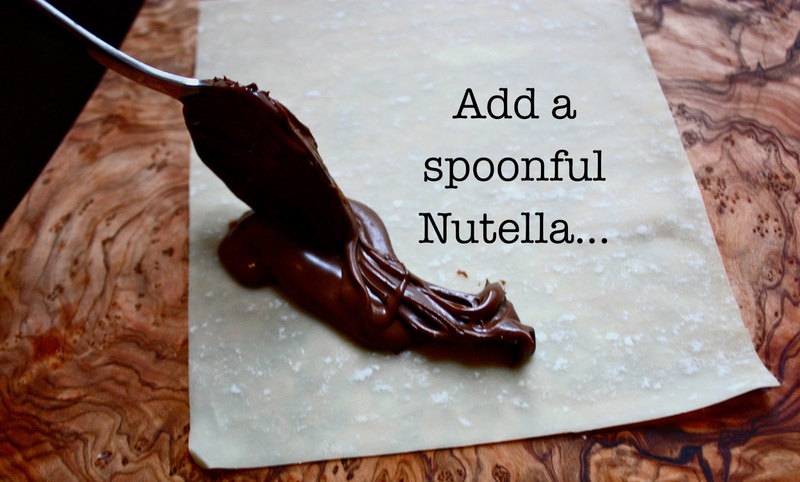 With an offset spatula, evenly spread a generous amount of Nutella onto the layer. Place your second layer face down on top of the Nutella filling and place the cake in the fridge for a few moments until it firms up a bit. Meanwhile, whip up your two buttercreams (if you’re like me and only have one stand mixer, make the vanilla one first so it doesn’t get streaked with Nutella!). With your offset spatula, carefully smooth a bit of frosting in a thin, even layer over the entire cake (to seal in the crumbs, a.k.a a crumb coat). Chill again until the frosting is firm (about 15-30 minutes). Place the cake on a turntable or cake stand. 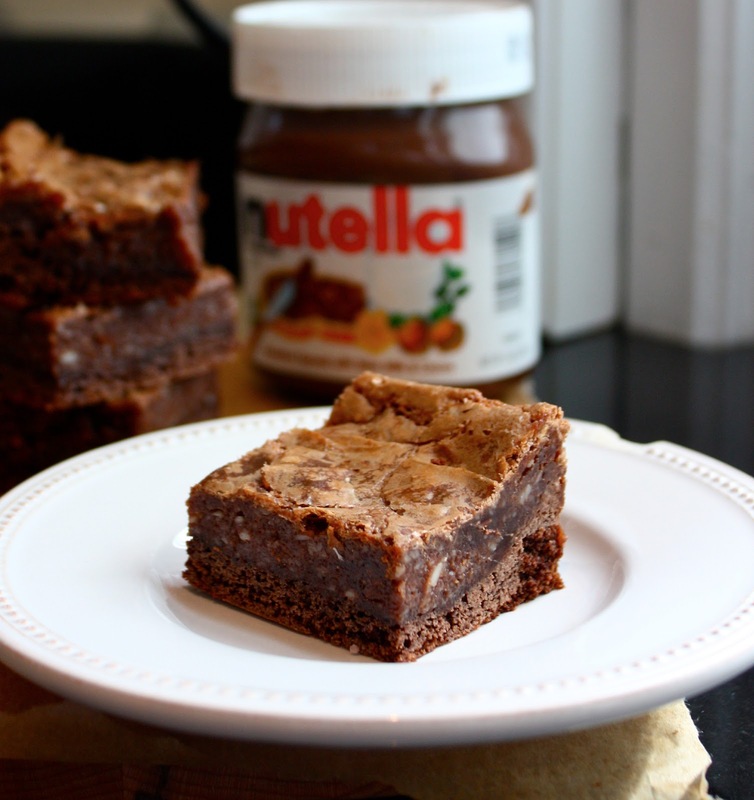 Using a clean offset spatula, spread the Nutella buttercream in a smooth, even layer over the crumb coat. To make the “ripple effect” on the sides, fill a large pastry bag fitted with a medium round tip with Nutella buttercream. Pipe a vertical row of 4 dots about 1/2 to 1 inch in diameter. Once you have your line of dots, use a spoon to smush down one side of each dot to form a line of petals. Keep repeating this process until you make your way all around the cake. For a picture of this technique, click here. Next, fill a clean piping bag fitted with a medium star tip with the vanilla buttercream. Pipe big swirls of frosting on top of the cake. Place a Ritter Sport or Ferrero Rocher in the middle of each swirl. 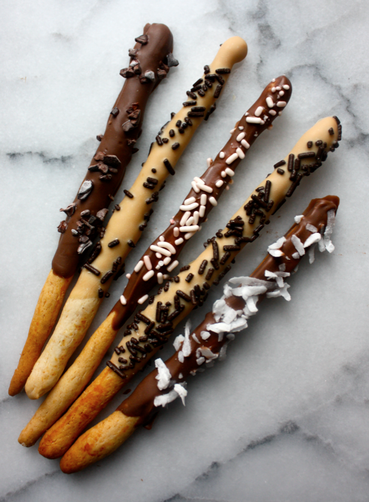 Lastly, drizzle with melted chocolate and enjoy your crazy, Nutella creation! Sometimes things that look awesome aren’t really so great after all. I remember in 1st grade I desperately wanted a retainer. A few of my friends had them. I knew that they came in tons of different colors: pink with glitter, rainbow, even metallic. I would walk around with a paper clip in my mouth thinking wistfully how wonderful life would be with a retainer. What I didn’t know was they made you lisp, they would have to be awkwardly taken out in front of everyone at lunch time, they would have to be brushed, you would get in trouble when you didn’t wear them, and they would hurt so bad you could only eat GoGurt for days. I found this all out in 6th grade when I actually needed one. But other times, things that look “ehhh” turn out to be amazing. Like this cake. I almost chucked this recipe because it looked like such a gooey mess in the pan. I thought that there was no way that it would bake into something solid and edible… but I decided to bake it anyways. This cake doesn’t look like much, but it is one of the most delicious things I’ve ever made. It’s also one of the easiest things I’ve ever made — no layers, no filling, no frosting, just layers and layers of gooey, chocolate goodness. You could add a dusting of powdered sugar to these to make it look a little bit fancier, but I like mine plain and simple. It’s misleading, and I love that. 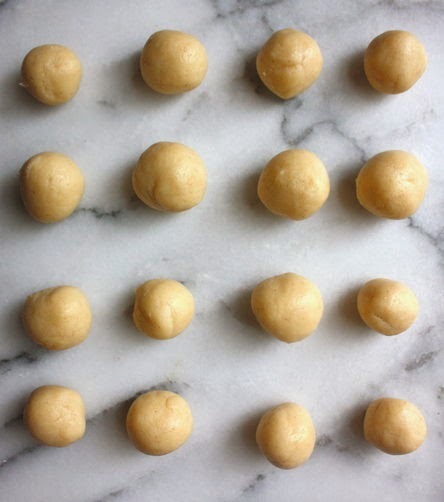 They look really boring, kind of like a brownie that wasn’t cooked long enough, but the look on peoples faces when they bite into the sugary crisp crust and the irresistible gooey filling is priceless. incorporated. Press into bottom of greased pan with fingers. vanilla. Then slowly and powdered sugar and beat until smooth.